The conference will take place at Clarion Hotel Gillet in Uppsala. Rooms at this hotel can be booked directly via the Registration link. 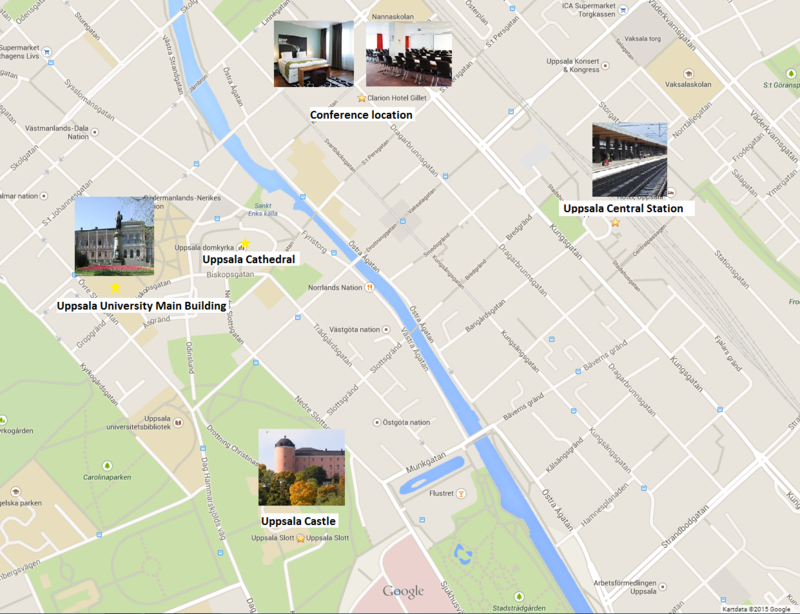 All locations in Uppsala are within walking distance from Clarion Hotel Gillet. Clarion Hotel Gillet is a modern hotel with focus on personal service and a warm accommodating atmosphere. It is an inspiring venue for both business trips and Uppsala locals. The hotel’s central location in Uppsala gives guests proximity to attractions, shopping and the main Square. A couple of minutes’ walk and you will reach the cosy streets along Fyrisån (Fyris stream), the Cathedral and the City Park. Conference attendants that want to find their own accommodation or embark on their own adventures in Uppsala can find more info at Destination Uppsala.